Getting plastic surgery, or any type of surgery, can be pretty nerve wrecking. There is a lot to think about, and you want to make sure you are making a good decision. 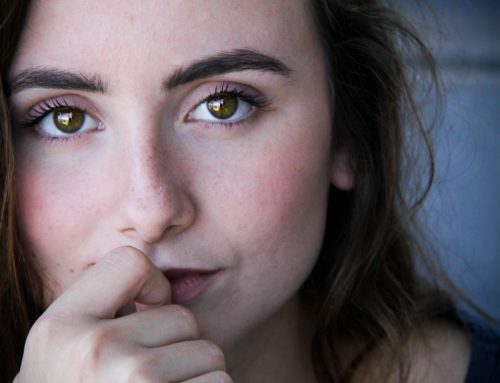 If you are like most of us, you see far more “plastic surgeries gone wrong” stories on the news and social media than you do stories of success. Why is that? Well, truthfully, it does NOT mean that on average more cosmetic procedures go bad compared to good. No, instead what it DOES means is that people like to talk way more about a mistake than to praise a job well done. Will I Be in A Tremendous Amount of Pain? Pain is a biggie. No one really wants to be in agonizing pain. So, here is the skinny on pain: Yes, you will have pain, but it will not be unbearable. During your procedure, you will have general anesthesia and will be asleep. After you wake up, your surgeon will provide you some pain medication so you can rest. Depending on the type of procedure you have done, you may only need something like an extra-strength Tylenol for a few days or you may need something a little stronger for a couple days. Your surgeon will also provide you with some alternate non-medicated ways to help you relieve pain such as hot or cold compresses and making sure that you only do light activity and get plenty of rest. The bottom line is if you follow your surgeon’s aftercare instructions, your pain will be manageable and short-lived. Will Something Happen to Me During Surgery? There are risks with any type of surgery, and that is why we take the greatest precautions when it comes to your surgery. Your surgeon and the hospital, or surgery center, where you will get your procedure are ready and able to help whenever needed. There will be licensed anesthesiologists, who are trained medical professionals, that will manage your medication and will watch you during your procedure to make sure that you are doing ok. While there is no guarantee that nothing will happen, there will be trained staff to help if needed. Will My Results Look Natural or Will I End Up Looking Like Barbie? This comes back to making sure that you choose a board-certified surgeon who understands what you are looking for. Most surgeons do not want you to look unnatural. Discuss your goals with your plastic surgeon to make sure that you have realistic expectations in mind. Make sure you check out before and after photos when you go into your consultation so that you can see previous results of patients who have undergone the same procedure you are getting. A little research goes a long way to making sure you get the results you desire. Will People Judge Me for My Choice? The decision to get plastic surgery is personal. You should only get a procedure because it is what YOU want to do. It isn’t really up to your family and friends. If you are comfortable with your decision, then that is what truly matters. 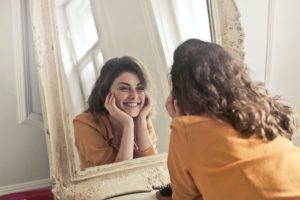 You may encounter a snide remark or two, but if you feel good about yourself and have confidence (something that you get from plastic surgery), then you can face whatever negativity is thrown your way. Regret is something no one wants to have. So, to avoid it, you should weigh all the factors of getting plastic surgery. Can I afford it? Do I have the time? Do I have support? Are my expectations set too high? Have I faced all my other fears? When you are happy with the answers to these questions, then you are ready to go! As long as you have carefully thought out your decision, you should not have any regrets! If you are considering plastic surgery and would like to discuss a procedure in more detail with one of our board-certified surgeons, please contact our office today!